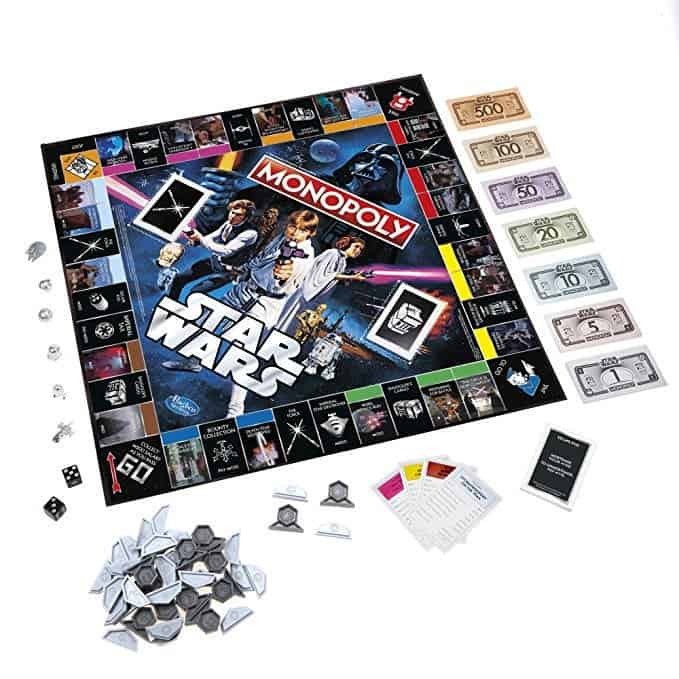 With Solo: A Star Wars Story currently playing in movie theaters around the world, we decided a list of cool, quirky, but useful Star Wars themed products would be much appreciated by you, kind reader. So, let’s dive right in. 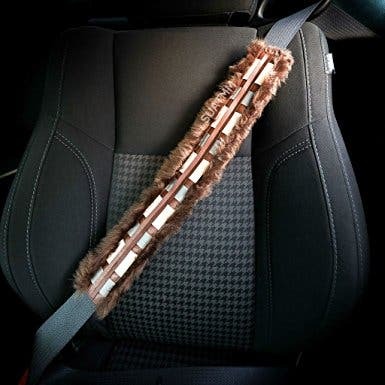 Ride like a Wookie with this fluffy, yet fashionable seatbelt pad. 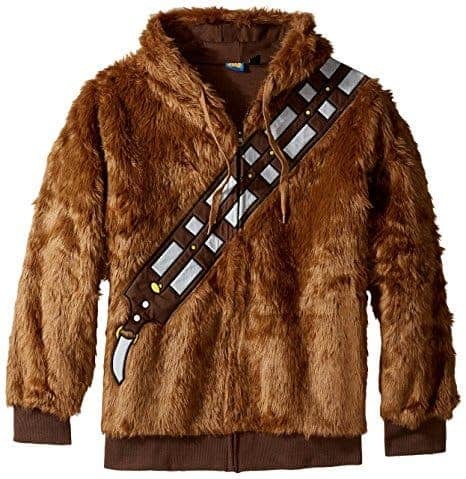 Not only does it look amazing and will have fellow Star Wars buffs turning their heads, the soft fur also makes it comfortable. Not natural fur! While we’re at it, check out this fluffy hoodie that’s sure to keep you warm during those chilly days. Everyone loves Chewie — might as well be one! No Wookies were hurt while making this shirt — nor other critters. Real science + fictional science fiction = love. I mean, just look at this amazing combo! Emperor, your masterpiece is complete! 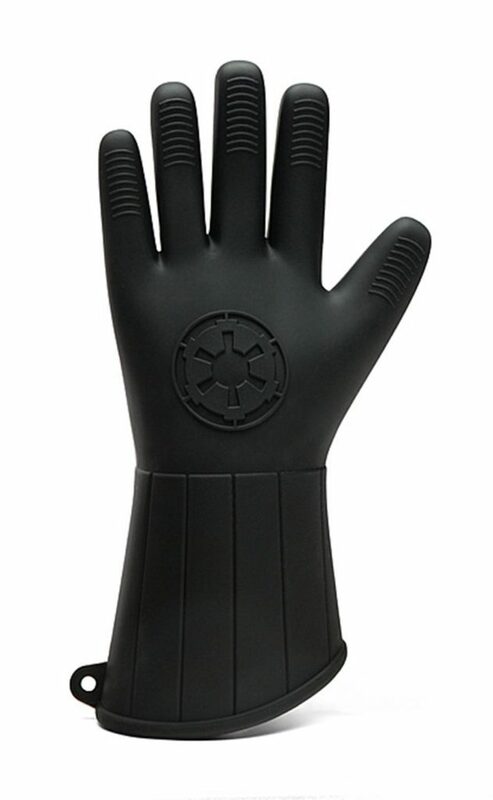 Yes, I know your darkest secret: you’d like to know how it feels to be Palpatine for a day. 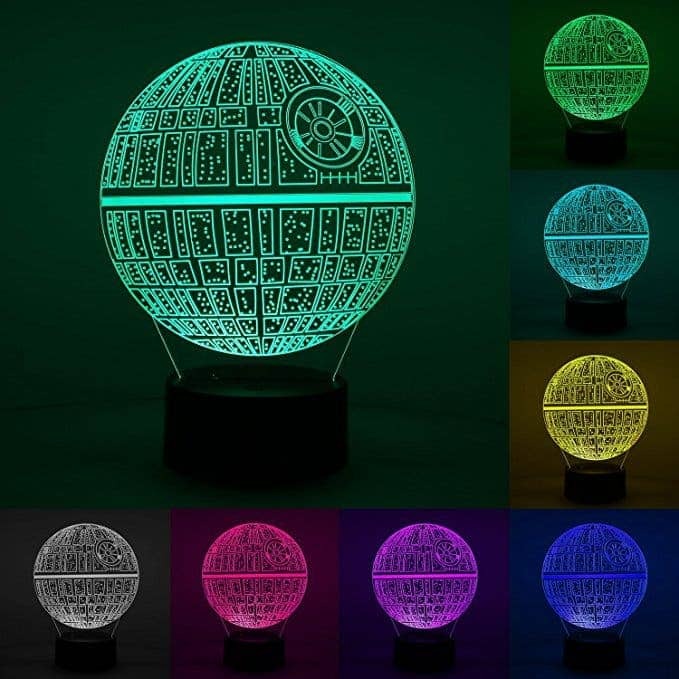 I can’t show you the dark side overnight but this amazing lamp will light up a smile or two. 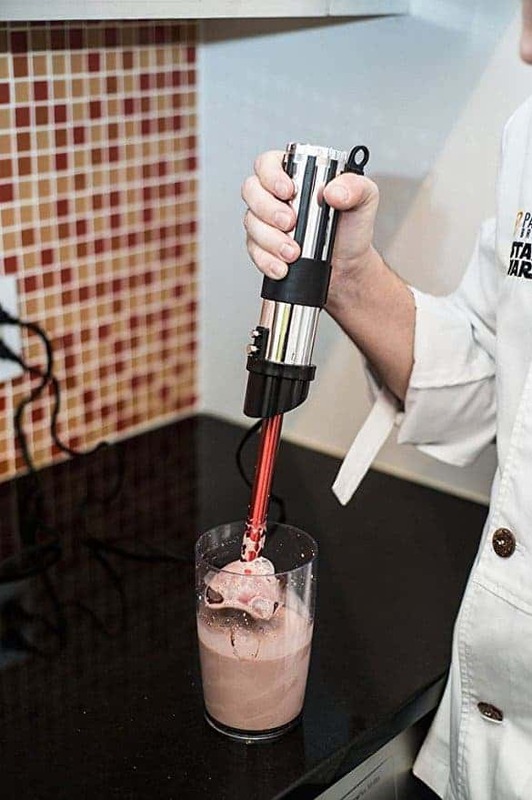 Mix your soups and smoothies with this amazing light saber-inspired immersion blender. 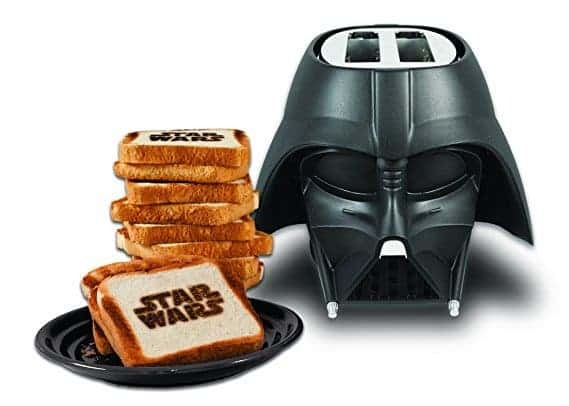 It’s the perfect gift for the culinary-minded Star Wars fan. It toasts bread, waffles, pastry, and rebel scum! Yum! Ok, this is the last one in the Darth Vader series, I promise. Just be careful not to lose a hand next time you’re baking. Because you can’t go wrong with a classic. 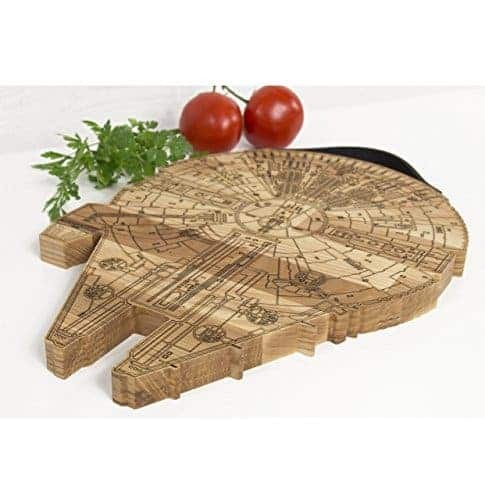 This is one of a kind, rustic cutting board with an engraved as the Millennium Falcon! 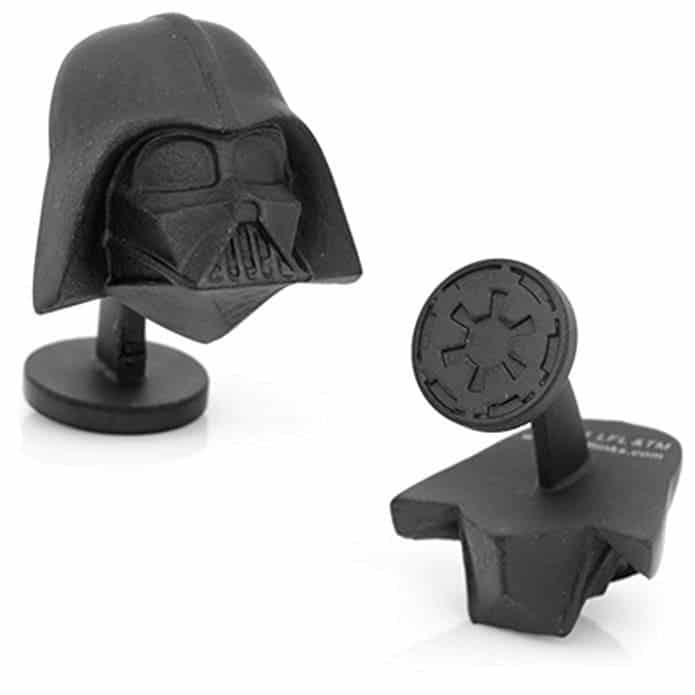 It is a gem of a gift for someone who loves cooking — and Star Wars. Is your battery low? 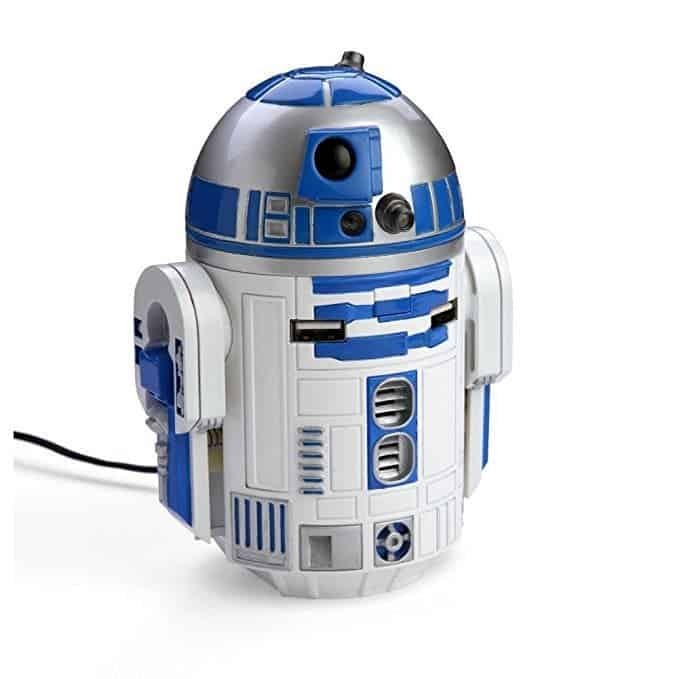 Don’t worry, R2-D2 is here to power you up everywhere you go! 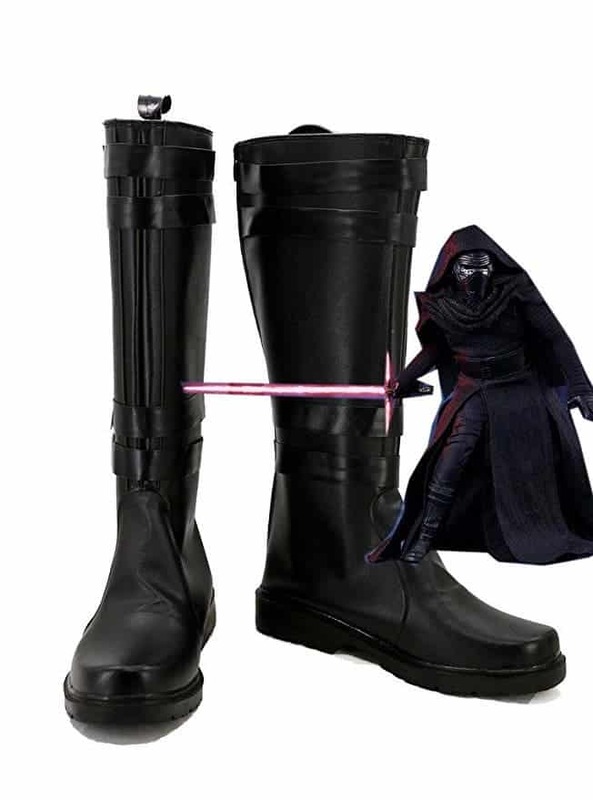 If you’re looking to cosplay as Kylo Ren or simply walk in style like a badass, these leather boots will get the job done. 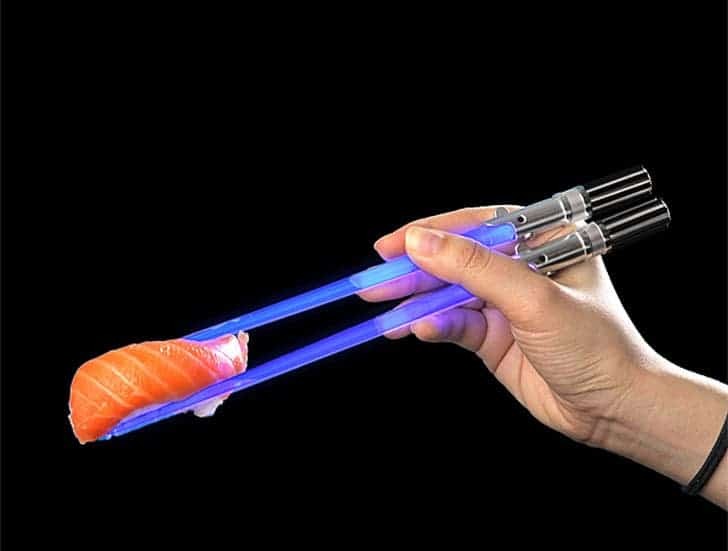 Break the ice next dinner party with this pair of lightsaber chopsticks. 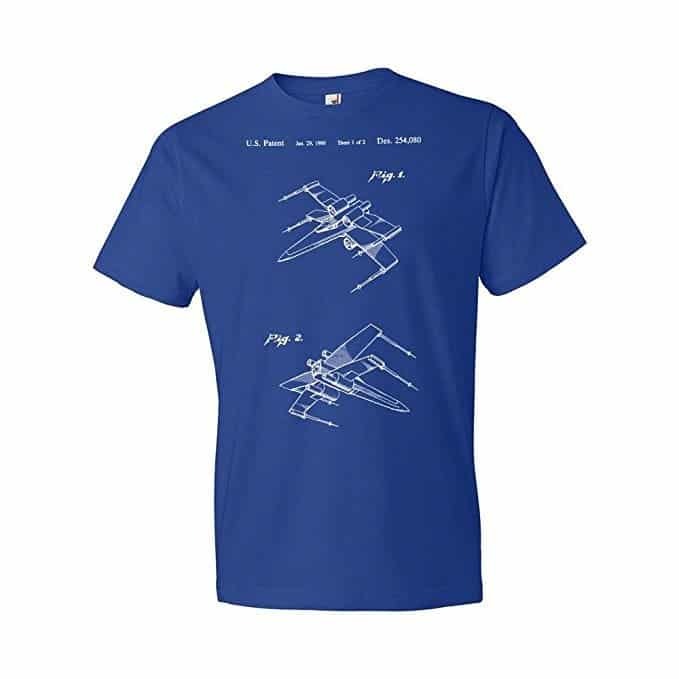 The perfect gift for any nerd. 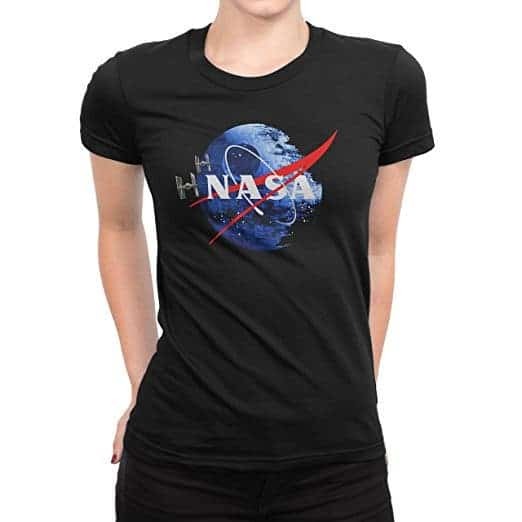 Not only does it looks awesome, it also fits well and is a great conversation starter. 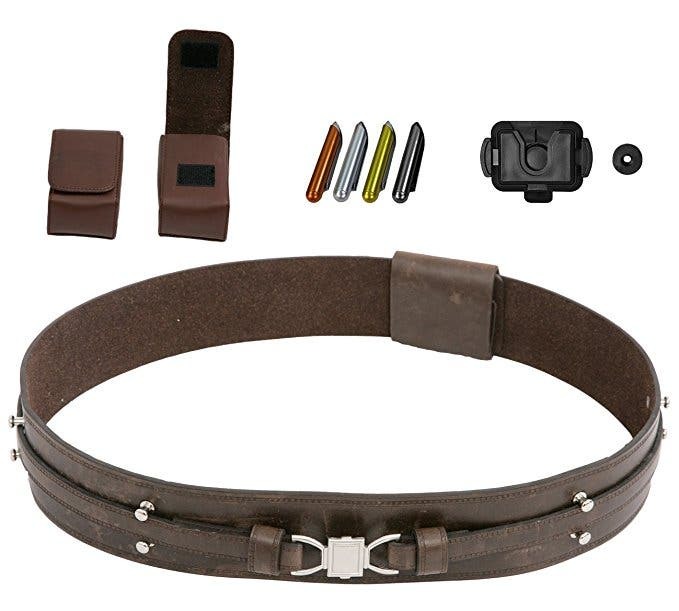 This faux-leather belt includes the bare minimum required by any Jedi who’s worth his salt, padawan or master. Practical, yet also quite fashionable. Disclaimer: Purchasing any of these products may earn ZME Science a commission. This helps support our team at no additional cost to you. We will never advertise products if we don’t think they’re good. If something is here, it’s because we like it — period. Check out more ZME Deals.